When it comes to your repair and maintenance needs, refuse to settle for anything less than the best for your Cadillac. 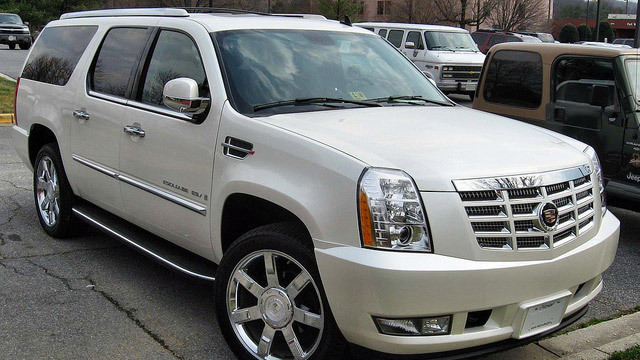 If you are seeking the highest quality service and repair of Cadillac vehicles in Baltimore, look no further than Paul's Automotive. Our professional team strives to give only the best service to you and your vehicle from the moment you enter Paul's Automotive’s door in Baltimore until you drive away, completely satisfied with the results. At Paul's Automotive - Baltimore, we don’t simply focus on the mechanical needs of your vehicle. We go above and beyond to exceed your expectations in customer service. Paul's Automotive’s dedicated team of expert technicians stands ready to answer any of your questions and provide thorough, efficient service. We even offer courtesy shuttle service to our local customers to help make the repair process as smooth as possible. Whether your Cadillac needs routine maintenance or major repairs, our certified mechanics will provide quality service that stands the test of time, just like the Cadillac name has. Call Paul's Automotive - Baltimore today at (410) 324-7155 to speak with our knowledgeable staff or stop in at 6318 Falls Road Baltimore, MD 21209 so that we can schedule an appointment for your Cadillac vehicle.